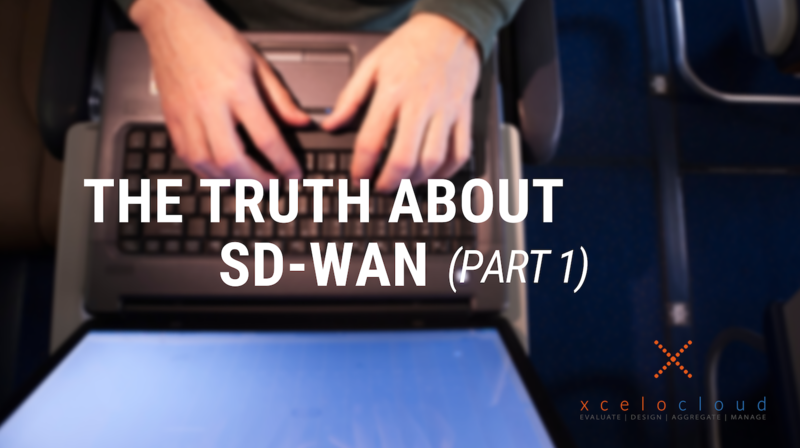 THE TRUTH ABOUT SD-WAN (PART 1) - Xcelocloud the-truth-about-sd-wan-part-1. HERE IS THE TRUTH: The above mentioned quoted statement is true when you have a network designed with either very expensive MPLS connections and a backup already in place. The only other time it is true is when you already are paying for WAN ACCELERATION — and/or potentially when you are replacing expensive edge security with software defined solutions that are built into some SD-WAN solutions. The truth is that you can achieve EXCELLENT performance from a combination of 2 less expensive DIA, Broadband or some LTE solutions per site to give you redundancy – while shaping traffic efficiently and improving visibility – often dramatically! This increases bandwidth per site 2 to 10 times per site. Cable connections are much faster to install than MPLS – but not necessarily 10x at every site. When you add the top tier SD-WAN solutions into the total cost of your network – we often see a 10% to 25% reduction in spend, but not 50%! At the end of the day, this smaller cost savings is still significant – especially when you consider the improvements you can achieve in network agility, redundancy, performance, application awareness, visibility, management and sometimes security!